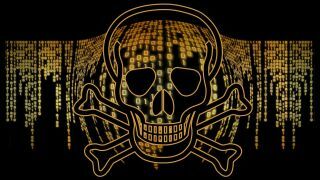 A virulent new strain of malware has infected more than half a million consumer and small-business networking devices, it has been revealed. Dubbed 'VPNFilter', according to researcher’s at Cisco Systems' security division, Talos, the infection targets numerous routers and network-attached storage (NAS) devices from major manufacturers such as Netgear, QNAP, TP-Link and Linksys. The malware is able to spy on network traffic and potentially steal website usernames and passwords, and can also be used to ‘brick' infected devices, rendering them inoperable. Although the exact creator of the malware is as yet unknown – and if other recent attacks are an indication, it will likely remain so – after working with law enforcement as well as private- and public-sector partners, Cisco has stated that the "sophisticated modular malware system” appears to be the work of a state-sponsored or state-affiliated actor. The malware’s creators appear to be focused on infecting devices located within Ukraine, although the virus has been discovered hiding on equipment located in 54 countries across the globe. Certain parts of the code used in VPNFilter match that found in an earlier malware strain called BlackEnergy, which also heavily targeted Ukrainian devices and was used in several large scale attacks. The malware is designed in such a way that it can have additional capabilities added after the initial device infection and, unlike many other viruses targeting Internet of Things gear, it could initially persist after a device had been rebooted – although, according to The Daily Beast, the FBI has reportedly managed to seize a server being used by the botnet, which has subsequently disabled VPNFilter's ability to reactivate itself after a reboot. Cisco recommends that infected users reset their devices to factory defaults and then reboot them, which should remove the "potentially destructive, non-persistent stage 2 and stage 3 malware". Router on the infected list? Maybe it's time for an upgrade. Here are our recommendations for the best routers of 2018.